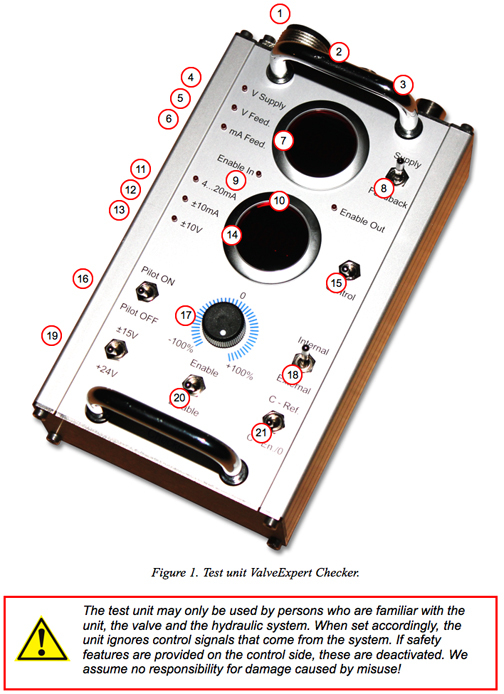 The control unit ValveExpert Checker is used to control and carry out functional tests on servo and proportional valves with integral electronics and operating voltages of ±15V or +24V. Simplifies commissioning and troubleshooting in hydraulic systems with servo and proportional valves. All standard servo- and proportional valves with 6+PE connectors are supported (MOOG, Parker-Hannifin, Bosch-Rexroth, Eaton, and many others). 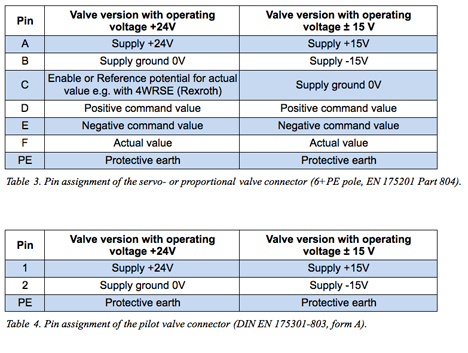 Additional control for ON/OFF pilot valve. Intuitively simple and comfortable interface. 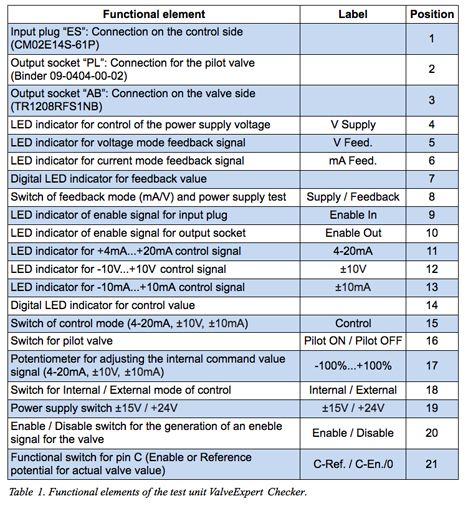 Built in digital multimeters for control and feedback signals. Supports external and internal control modes. 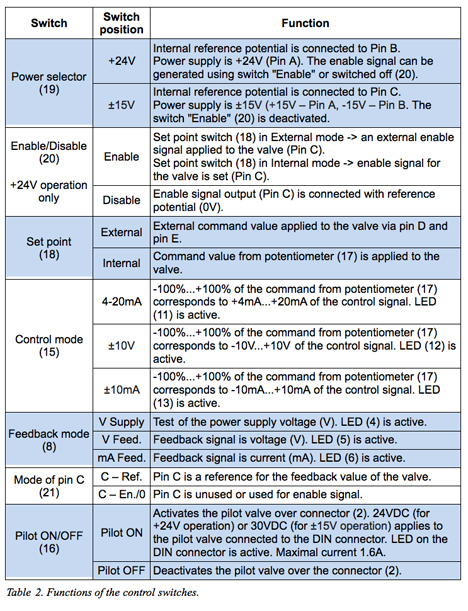 Three internal control modes are supported: -10V…+10V, -10mA…+10mA, 4mA…20mA. Support current (mA) and voltage (V) feedback signals. 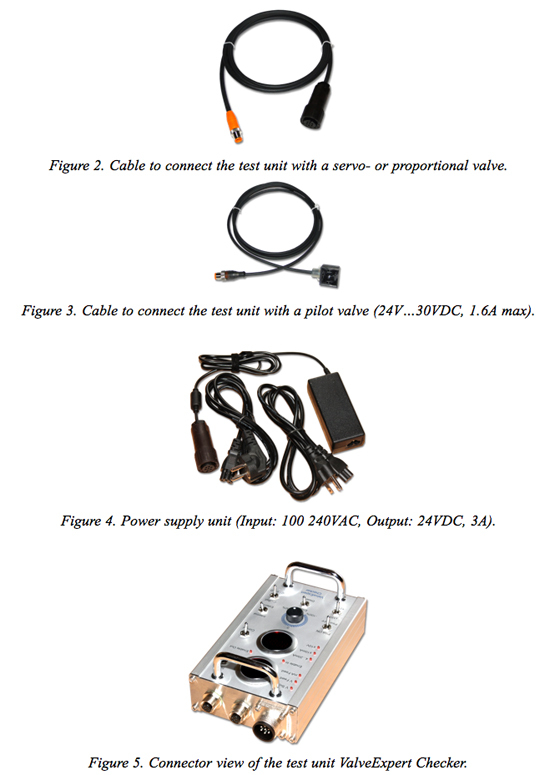 The service case comprises a test unit as well as an optional power supply unit (+24V, 3A), connecting cables, and adapter cables. Overload and short circuit protections.